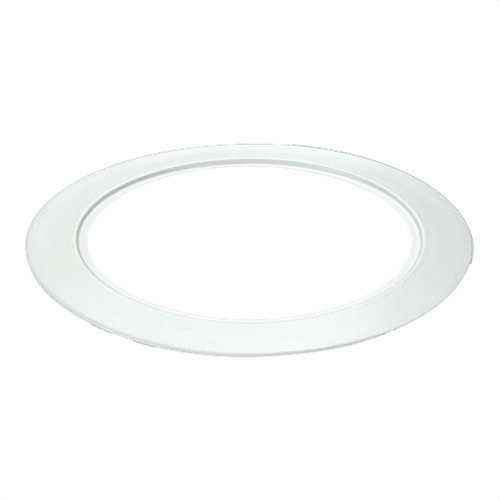 Halo Oversize trim ring in matte white finish, has welded steel construction for added strength and durability. It is designed for RA56/RL56 ring to inset into oversize ring for an even trim surface. The trim ring measuring 6.9-Inch x 9.5-Inch, is ceiling mountable. It is used to enlarge the appearance of the trim. This trim ring is compatible with RL56, RA56 series 6-Inch all purpose LED retrofit baffle trim.